This article generally applicable if you want to cross into Thailand overland but I’ll be more specific on Malaysia – Thailand Border Crossing by Car or Motorcycle. 3. TM6 Card (Arrival/Departure white card). 4. Passport valid for 6 months at-least. 5. Driving license recognized in Thailand. i.e. 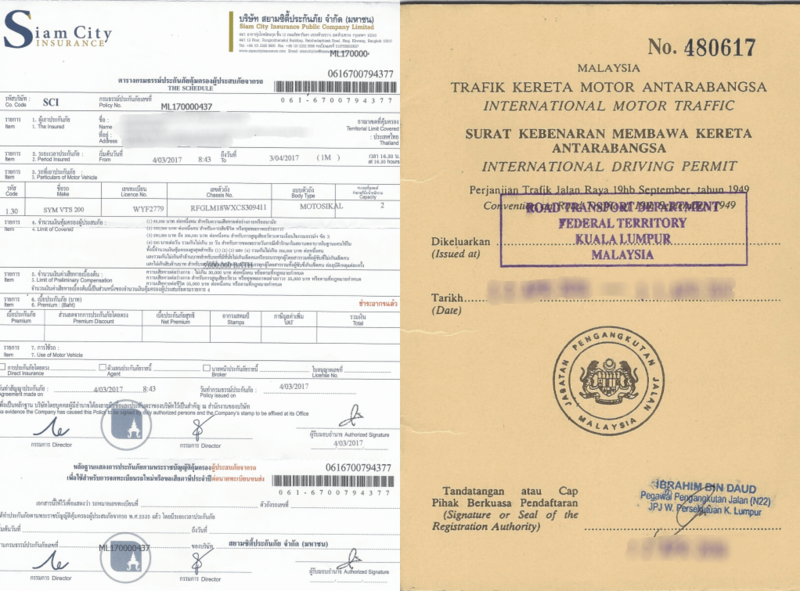 From ASEAN countries or International Driving Permit. Note: Thai border in Sungai Golok requires the authorized letter to be stamped by a Commissioner of Oath. 7. Simplified customs temporary Import / Export form. 8. Copy of your road tax – Ensure it is not expired. 10. Compulsory Motor Insurance (CMI) (Less than RM 20). 11. Visa – (Not needed for countries that have been exempted). 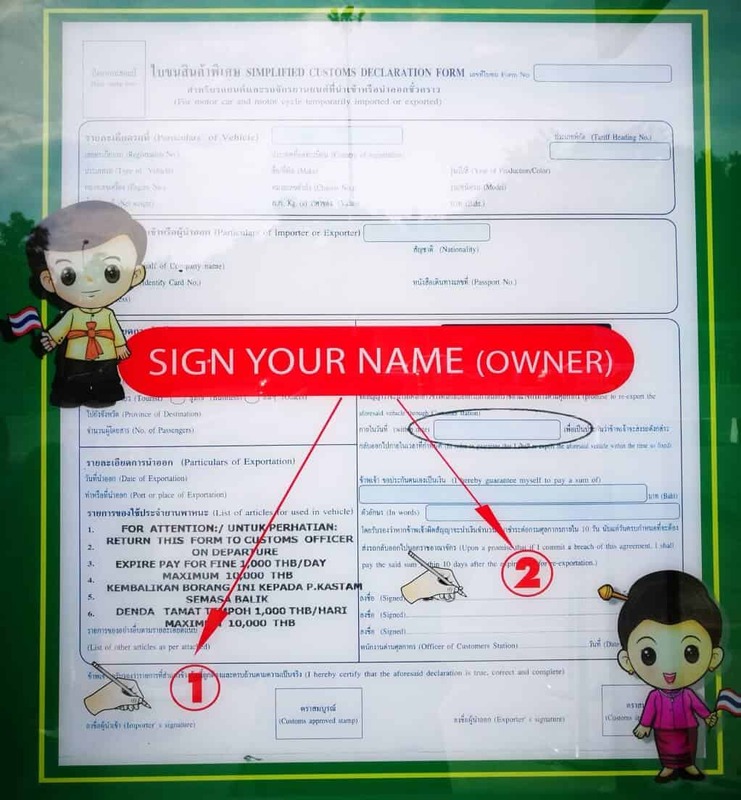 For the Thai Visa service, read here and for any other Thailand immigration forms, it can be found here. Note: If you are NOT on a vehicle registered in Laos, Malaysia or Singapore, you now need prior approval to enter Thailand. In December 2016 Thailand introduced new rules which required a traveller with their own motor vehicles to obtain a permit and guide to enter the country in advance. The new rules allow motorcycles and vehicles under 3500kg to enter the country, with a permit and guide organised via a travel agency. However, they state – No vans, camper cars, buses, trucks, vehicles over 3500kg or that have over 9 seats. More info / latest updates see Overlanding Asia FB Group. 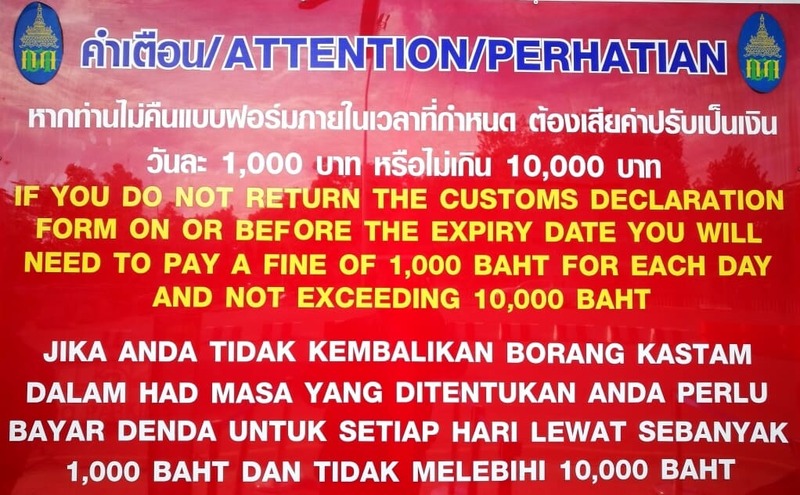 All the TM Thai immigration forms and simplified customs import/export form can be obtained at the Thailand border for free despite sometimes you will need to pay up a little fee (RM1-RM5) which you will not get an official receipt. To save up time, you can download the TM2 & TM3 forms from the links above and fill it up before you head up to the border. Alternatively, you can also get those immigration forms (TM2, TM3, TM6) and third party insurance for your vehicle few Kilometers before the Malaysian border. (You can see few signboards saying Thai Insurance etc, just drop by one of those shops or if you’re going towards north of Malaysia via PLUS highway, you can drop by at Gurun R&R’s (rest area) Caltex Petrol Station which is about 80KM before Bukit Kayu Hitam border to get your immigration forms (TM2, TM3, TM6) and vehicle third party insurance. Now that you’ve already had a rough idea on the border crossing, I’ll walk you through the process. Arriving at the Malaysian border. This is the easiest part, you can just drive through and you will only need to get your passport stamped. Most of the Malaysian borders have dedicated lanes for cars and motorcycles. Arriving at Thailand border (Sadao) – Rules apply generally on all Thai borders. 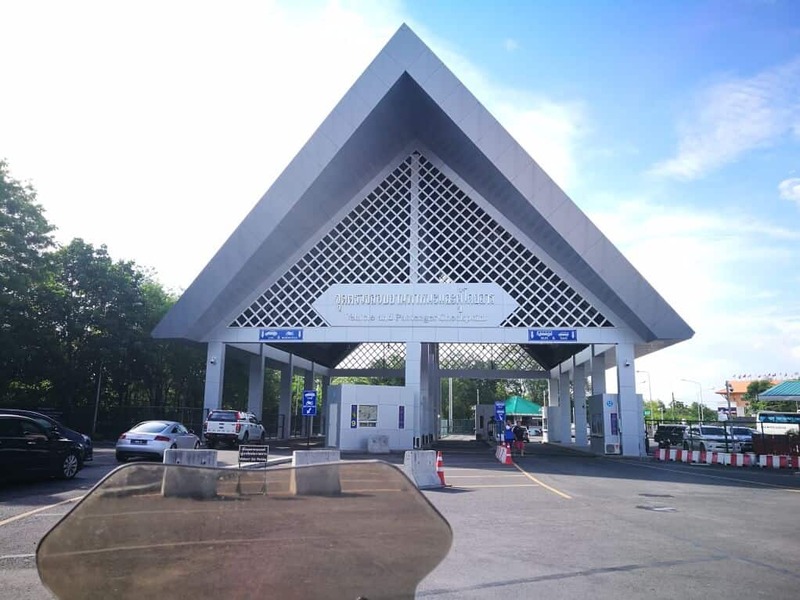 If you’re driving a car, park your vehicle just before the Thailand border as most Thailand border crossing do not have dedicated lanes for drive-through. 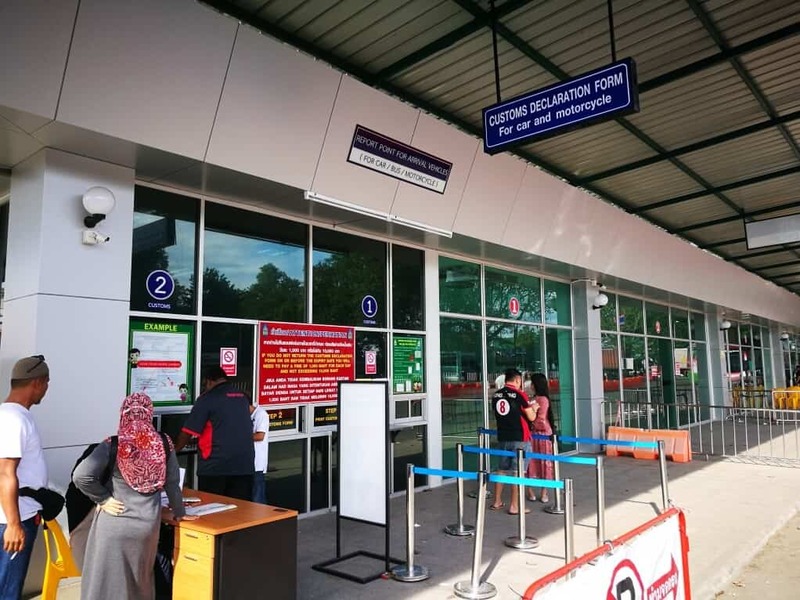 However, If you’re crossing via Bukit Kayu Hitam – Dannok (Sadao) border, you can just drive through and get your passport, completed TM6 (white card), TM2 and / TM3 forms stamped. For motorcycle, you’ll need to park your motorcycle first anywhere close to the Thai border area. Don’t forget to pass over the completed TM2 & TM3 forms to the immigration officer when they check on your passport. You will need to have a copy of each for arrival and departure. The immigration officer will keep one copy for arrival and he/she will stamp the departure copy and give it back to you. You will then need to submit this stamped copy when you exit the border on your way out of Thailand. Next, park your car or motorcycle after the drive through passport control/immigration counter and go to the Customs Declaration Counter to get your simplified temporary import/export form. You will need to provide your passport and the vehicle registration card (Grant / VOC) to the customs officer at counter# 1 for verification. If the vehicle is not registered on your name, you will need to provide authorisation (permission) written letter and copy of the owner’s passport / Identity card. See Sample. If you have been out & / or in before, your data should still be in their system and is easy to bring it up if your info & the vehicle are still the same. The customs are organized & computerized and they will complete the form for you. Your data goes in the computer & the form is printed out for you which you need to bring it over from counter #1 to counter# 2. They’ll usually print out 2 forms, one of them (import) which they’ll keep and give you the export form which you will need to sign at two sections. See the image below. The validity of the form is usually 30 days and you MUST return the export form to the Customs Counter when you exit Thailand. Failing to do so, there is a fine of 1,000 baht a day, with a maximum of 10,000 baht if you return/depart late (up to 6 months). Note: You can enter and exit Thailand from any borders provided you do it within 30 days, i.e. You enter Thai via Bukit Kayu Hitam and exited using the Wang Kelian border. That’s it! You can now drive/ride into Thailand straightaway and their official may stop you to check whether your passport has been stamped or not on your way in, just show it to them and they will let you pass. 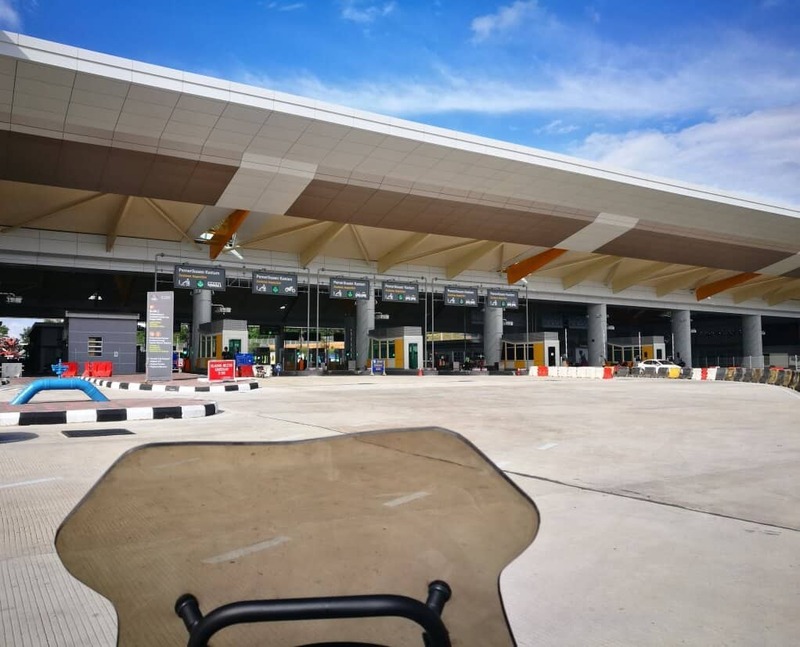 The process is quite simple, to be honest and you may want to skip border crossing on Malaysian public holidays as the waiting queue at the border can be long and you may just be stuck there for hours. Alternatively, go to other small borders such as in Wang Kelian etc as they may not be busy as Bukit Kayu Hitam / Dan Nok border. Do I need Compulsory Motor insurance (CMI) for my vehicle? Yes, and it is compulsory if you’re driving/riding in Thailand. Please note, the CMI only covers bodily injury (Max 80,000 Thai Baht – varies based on underwriter) and not for the repair works on the vehicle(s). This can usually be purchased near border crossings into the country and it usually cost about RM 20 for 9 days. Is there any Insurance that covers vehicle damages? Having travel insurance is really important and some even choose not to have one but honestly, accidents do happen and they also seem to happen when you least expect it & least need it. Medical bills can cost a fortunate abroad and with good travel insurance, you can have peace of mind. so please, if you don’t do it for yourself, do it for your loved ones. I would highly recommend World Nomads Travel Insurance as they cover most of the country in the world, affordable, they have excellent customer support and good reviews online. You can use the widget below to get a quote for your travel insurance. What should I do if I’m Injured due to an accident? First of all, if you’re injured, get yourself treated at the nearest Hospital. If you have travel insurance, call up your underwriter to further assist you. You can use the CMI Insurance cover note that you purchased before entering Thailand for bodily injury to the Hospital’s receptionist. She/He (if willing) can assist you to call up the Insurance company to make a medical claim. The biggest problem you may encounter is communication as most Thai people don’t speak English. The good thing is, you can call Tourism Police who speaks English by dialling 1155 from your local Thai sim-card number and they’ll assist you. The insurance company may ask you to go to the nearest police station and make a report of the accident. You will need to provide your passport, compulsory insurance cover note and a medical report from Hospital. Depending on your local insurance policy (if any), you can also get your self covered for medical expenses outside Malaysia. My vehicle involved in accident, what should I do? Do I need an International Driving Permit (IDP) / License? In general, an IDP is not required if you are a tourist/visitor in Thailand as long your license is in English, has a photo and your country signed the 1949 Convention on Road Traffic done at Geneva, which most countries are including Malaysia. There is also an ASEAN agreement on the recognition of domestic driving license issued by ASEAN countries. However, there is always contention about this but for me, the overriding decision to get one is for insurance purposes. Most travel insurances that I’ve checked have in the fine print that you must have an IDP in the event of a claim for damages or medical costs from an accident. 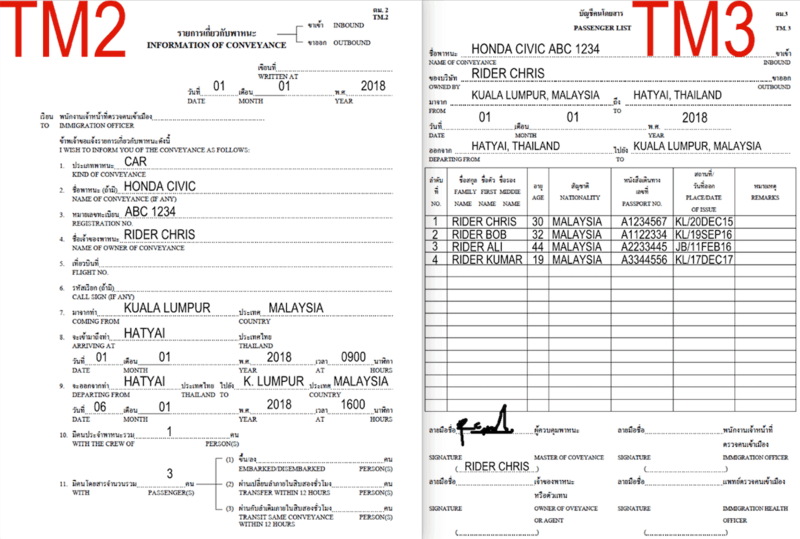 The paperwork for our last few vehicles we hired in Thailand has also required an IDP for claiming on insurance. For about $30 it is a no brainer for me. I don’t really care about paying a fine but an accident could mean thousands of Ringgit in medical, vehicle damages costs and I am not willing to risk it. If you’re Malaysian, you can get it at JPJ’s office for RM 150. A sample of the IDP can be found at the image on the right below. In 2016, Singapore travellers entering Thailand through land border checkpoints are eligible to do so without a visa only twice in a calendar year. However, the government has now revised its regulation and allow Singaporean to enter Thailand for tourism purpose through land border checkpoints more than twice a calendar year without requesting for a visa. 1. You’re not allowed to bring in and use electronic cigarettes / Vape or any related substances or equipment. Imprisonment not exceeding 10 years and/or fine THB500,000 (RM64,000). 2. Didn’t declare your vehicle via Thai custom if you’re crossing overland. Imprisonment not exceeding 10 years and/or fine 4 times value of your vehicle value and confiscation of the vehicle. 3. Using Walkie-Talkie (unregistered) | Imprisonment not exceeding 5 years and/or fine up THB100,000 (RM12,800). 5. If you driving a commercial vehicle such as Van, you will need to hire a Thai tour guide (even if you’re Malaysian), get a permit for your vehicle, have a tourist pass and insure all of the passengers for tourist purpose. These services can be obtained at the border area. Failing to do so, get ready to be slap with a big fine and also jail sentence. This rule does not apply to private MPV vehicle such as Alphard, Velfire, Starex etc. 6. Always obey the traffic rules whilst you’re riding/driving and stay calm if you been pulled over by the police. Smile is the key to start with good communication. This information was gathered from my last trip, the 6 Nation’s Borders Ride which I rode and clocked 8033KM on my 171CC scooter.